Amusement and recreation venues compete for season ticket sales, guest satisfaction and customer loyalty, making the personal guest experience of ultimate importance. But keeping an amusement park clean can be a difficult task. It takes a lot for staff to monitor multiple facilities with just as much traffic as the rides, especially when they are spread across a vast estate. Kentucky Kingdom and Hurricane Bay is a premier family entertainment venue located in Louisville, Kentucky. They found keeping facilities stocked and clean to be a troublesome part of operations. 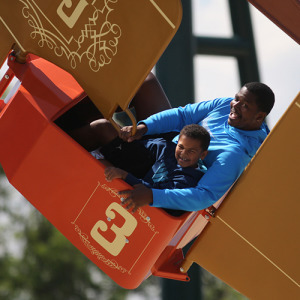 With the slogan, “All that Matters is the Thrill,” the expansive, 63-acre park includes more than 70 amusement rides and coasters and 20 water park attractions. During the 2017 summer peak, the park drew more than 9,000 visitors a day. 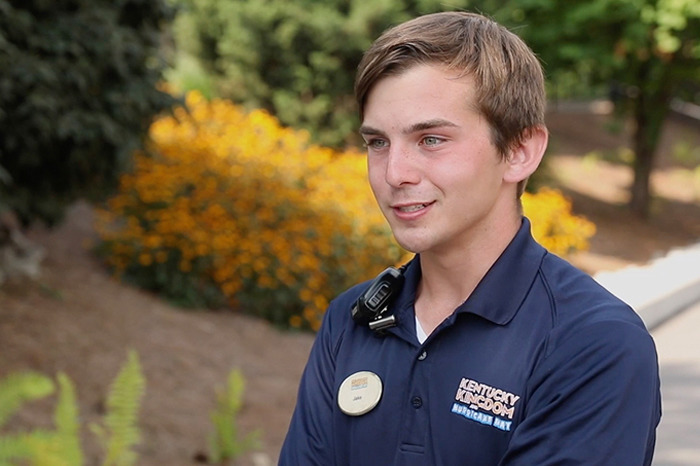 Kentucky Kingdom draws upon a local labour force for cleaning staff, making turnover, training, absenteeism, motivation and performance recording a particular challenge. According to Jake Allgeier, Park Services Manager, expanding the use of Tork EasyCube® into the park proved to be the right ticket. Tork EasyCube is the world’s leading facility management software for data-driven cleaning. It provides real-time actionable data to enable park services managers and cleaning staff to address cleaning maintenance and supply refilling in a proactive manner. The system consists of connected devices that provide real-time information about what is needed, where and when. Through tablets, smart phones or any web enabled device, supervisors and cleaners are presented with a snapshot of which areas of a facility need attention and exactly what supplies are needed. With data-driven cleaning, the result can be at least 20% savings in cleaning time and a more purposeful day at work for cleaning staff, along with less stress. 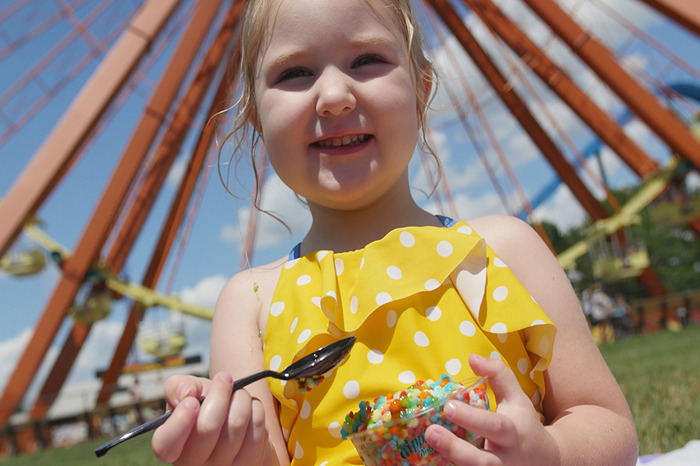 Kentucky Kingdom and Hurricane Bay is now using Tork EasyCube constantly to access the real-time data collected from 163 connected devices installed throughout the park. The software monitors supply levels and number of guests visiting each park zone, giving cleaners actionable information about the cleaning needs in prioritised order. That’s an especially helpful capability on busy weekends, when traffic fluctuations between park zones can vary by the thousands. And as it turns out, Allgeier was right. 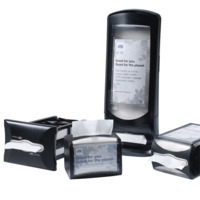 The park has benefited from Tork EasyCube. Jessi O’Daniel, CTA, Senior Manager of Guest Relations adds that introducing Tork EasyCube has been a warm welcome on multiple fronts, including staff recognition and motivation. 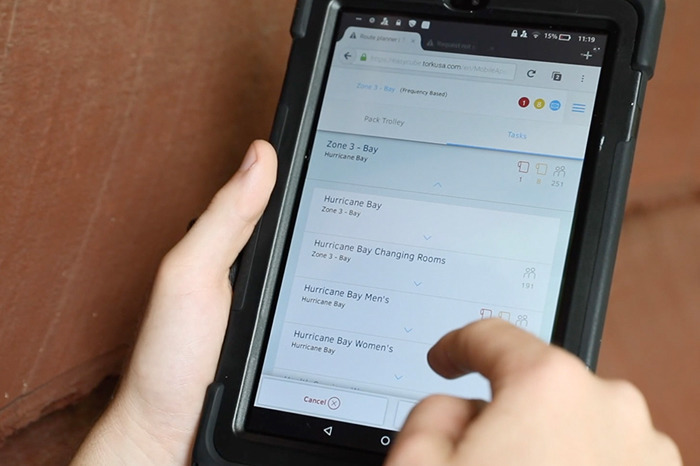 Moving forward, Kentucky Kingdom and Hurricane Bay will study their reporting and analytics gained from the first year of using the Tork EasyCube system with a focus on continued efficiencies based on actual documented learnings. 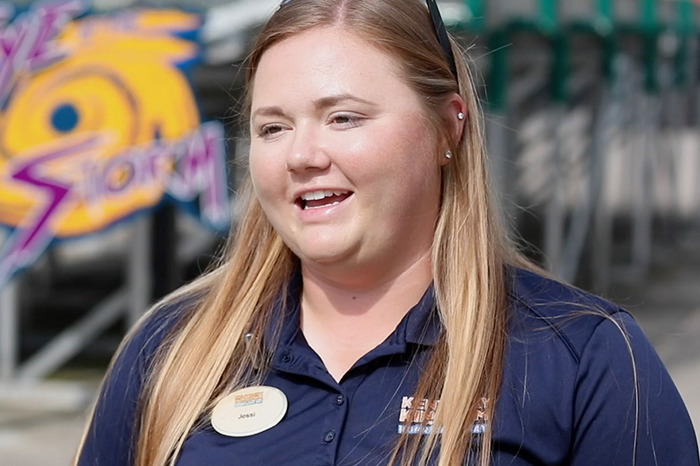 Because the system’s adoption comes with Customer Success support by Tork staff, Kentucky Kingdom and Hurricane Bay will continue to fine-tune the system’s set-up based on findings and results and look forward to a new season with even better results. 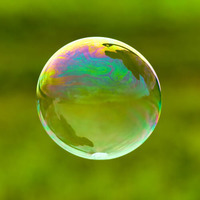 When I came across Tork EasyCube, I thought, ‘This is awesome,’” says Allgeier. “It was something that I had never seen before and knew we could definitely benefit from adding it to the park.